Here at Nash and Co Estate Agents, we always endeavour to provide a service based on professionalism and experience. Our staff aim to be friendly and respectful at all times and value the business our clients have given us. Duncan Nash (centre left), Is the Director of Nash & Co and has over 33 years of estate agency experience. 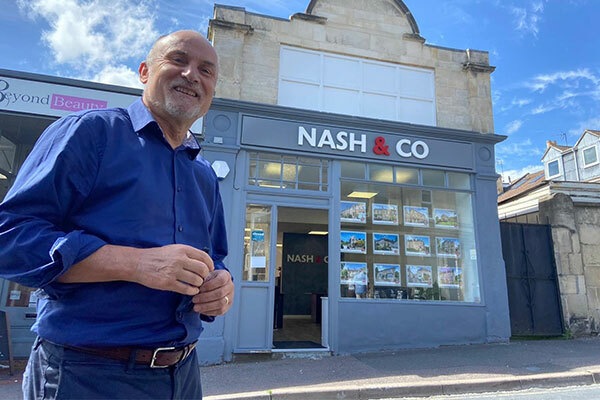 Initially working in London in the late 1980’s Duncan moved to the south west with his family in 1991 and specifically into the Bath estate agency scene in 1995 as a branch manager of Palmer Snell estate agents. During the last 23 years Duncan, has built up a detailed knowledge of the Bath property market and has a good number of clients who have continued using him over a long period. Simon Butcher (right), has been working with Nash & Co for some 5 years and is a confident and skilled senior negotiator. In particular Simon has an eye for detail, be it property features or in the sales progression side of the business. Simon is a team player and is passionate about his cricket playing locally in and around Bath. Alex Shingler (centre right), joined Nash & Co as a negotiator and the company has great hopes for him. Alex is a people’s person and is a positive personality with plenty of natural enthusiasm. Alex previously worked for an estate agent in Frome for 2 years, giving him a good grounding in the business. In his spare time, Alex enjoys local politics, gym and socialising. He was previously deputy youth Mayor of Frome. Paul Barlow (far left),joined Nash & Co early in 2018 as a negotiator and has a very friendly professional demeanour. He loves the theatre, travelling, watching movies & enjoying the culture of living in Bath. Outside of this Paul has enjoyed a career in the bookshop and publication industry, living in London for most of his career before moving to the south west.